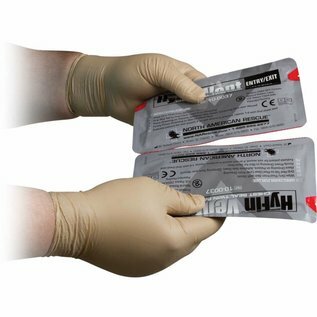 The new HyFin Vent Chest Seal Twin Pack from North American Rescue sets the standard for the treatment of penetrating injuries to the chest. 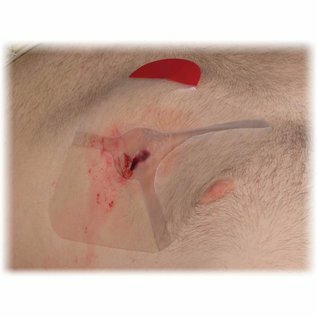 Providing two vented chest seals in one unique package for treatment of both entry/exit or multiple penetrating injuries to the chest. The new HyFin Vent Chest Seal design provides 3-vented channels that prevent airflow into the chest cavity during inspiration while allowing air to escape through the vent channels during exhalation. The 3-vent channels allow blood to escape and also provide a backup fail-safe system, as even if two of the three channels become obstructed, the vent will remain fully operational. Advanced adhesive technology provides superior adhesion in the most adverse conditions, including sweaty or hairy casualties. Packaged in a rugged, easy-to-open foil pouch, the perforated packaging allows rescuers to open only one dressing at a time as needed. Each chest seal also includes a gauze pad to wipe the wound surface prior to application. 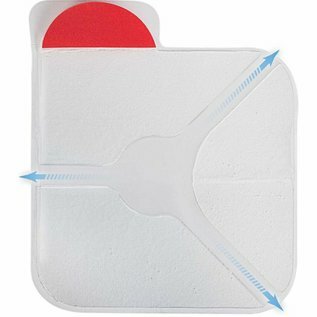 Each HyFin Vent Chest Seal has a large red pull tab for single-step peel-and-apply application and allows for the burping of the wound if necessary. The clear, transparent backing allows for easy placement over the wound area and conformability to the patient’s chest. 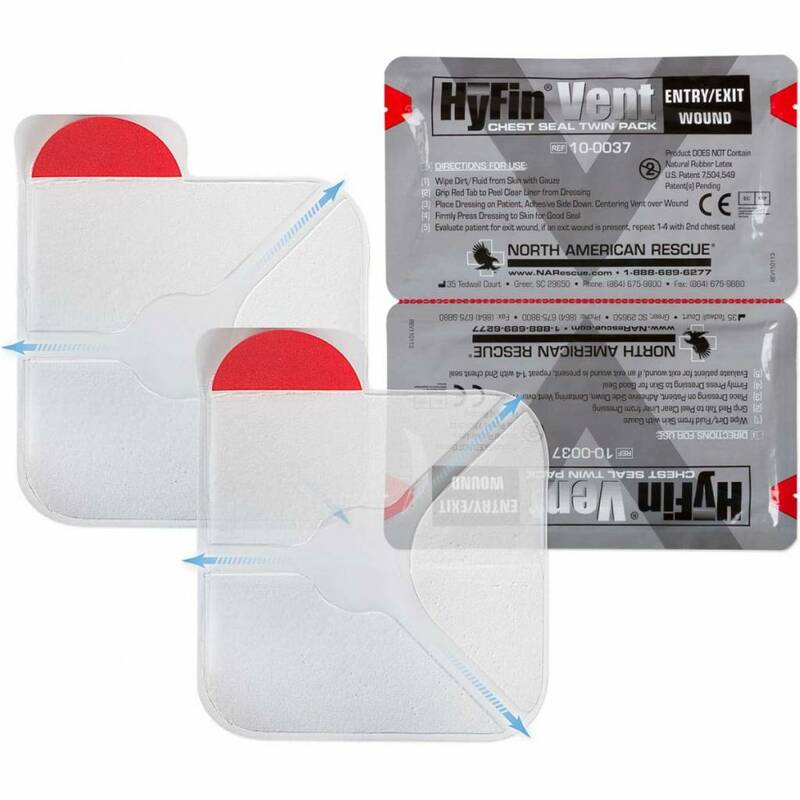 Meets or exceeds the current EMS Standard of Care and TCCC & TECC Guidelines for treatment of penetrating injuries to the chest, the new HyFin Vent Chest Seal Twin Pack is the superior prehospital chest seal.